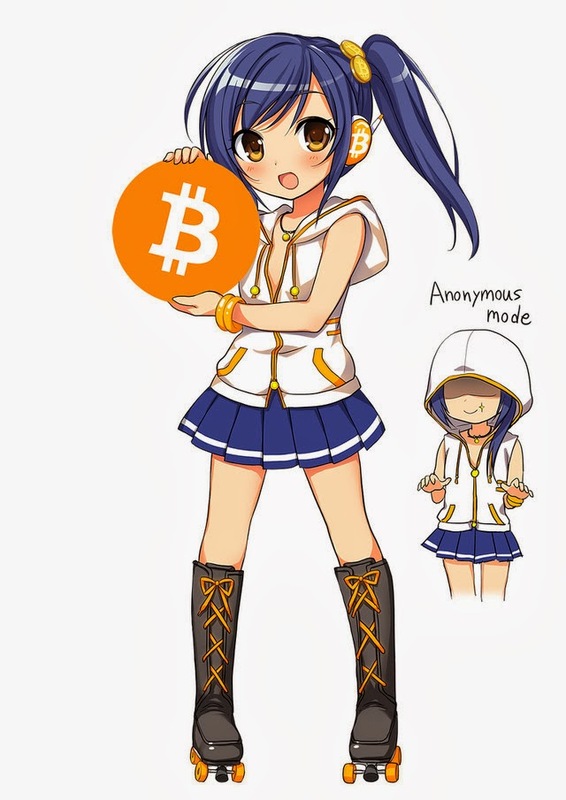 As shown by CrunchyRoll, Bitcoin recently got it's own anime mascot, Bitcoin-chan. This cute mascot was made by Eroge artist Mochiko Kagamino (warning, NSFW link!). 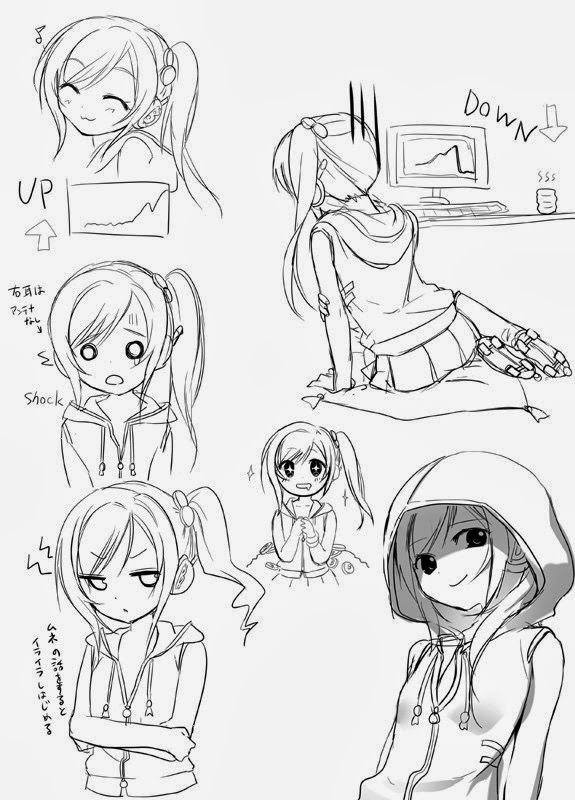 She's become a free-to-use mascot (except for product sales) and will have a manga strip soon. 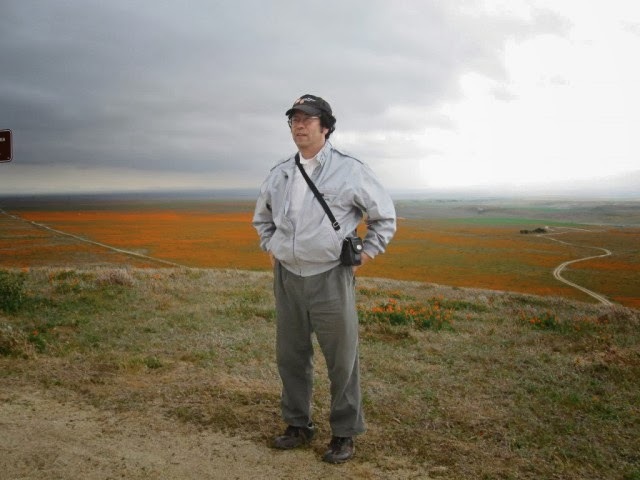 As of last week, on Friday February 28th 2014, we here at Chuck's Anime Shrine became the FIRST (?) 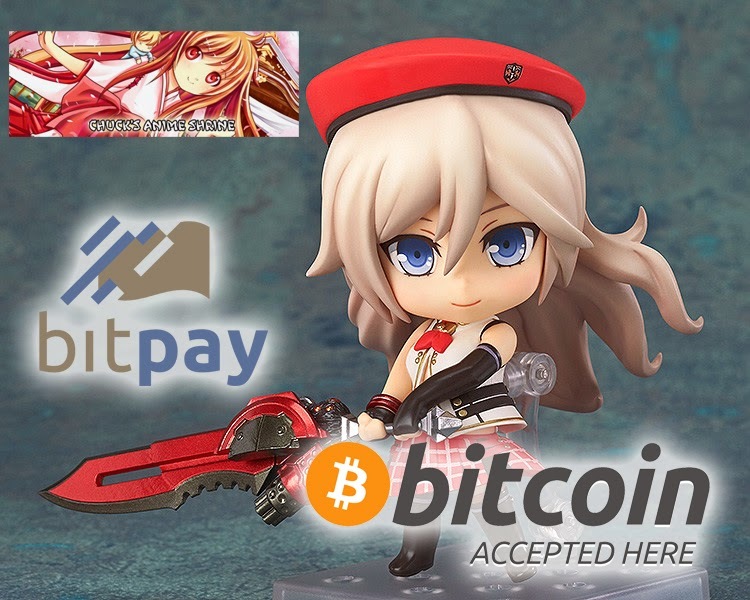 official anime retailer to offer payment of anime figures and anime-related merchandise in Bitcoin! The store is still building up from the once bustling business it was before Hurricane Sandy but we are proud to say that if you wish to pay for anime goods in Bitcoin, you can do that HERE. We utilize a secure SSL setup insite with the added security of an external Bitpay account to process your payments in Bitcoin based on it's value at that very moment. More details and fine print will be posted in our store section in the coming week concerning Bitcoin transactions but we join the ranks of Overstock.com and Tiger Direct when it comes to Bitcoin. So don't be scared of Bitcoin. Give the banks corporations something to sweat about and get your anime goods with those Satoshis.